On Friday we woke up to another rainy morning, the temperature had dropped and it was feeling much cooler. The kiddies were back to wearing their jumpers and slippers whilst snuggling up with blankets on the sofa waiting for their breakfast. 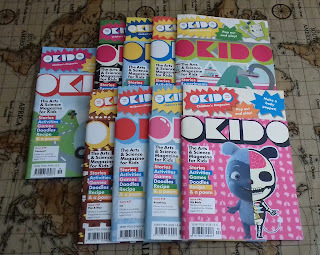 It was the perfect kind of day to get out our growing bundle of Okido Magazines! All my children (even the older ones!) are fans of Messy Goes to Okido and often watch episodes online. So when I pulled out this bundle of magazines they were super excited! DS6 tells you more in this short clip here! 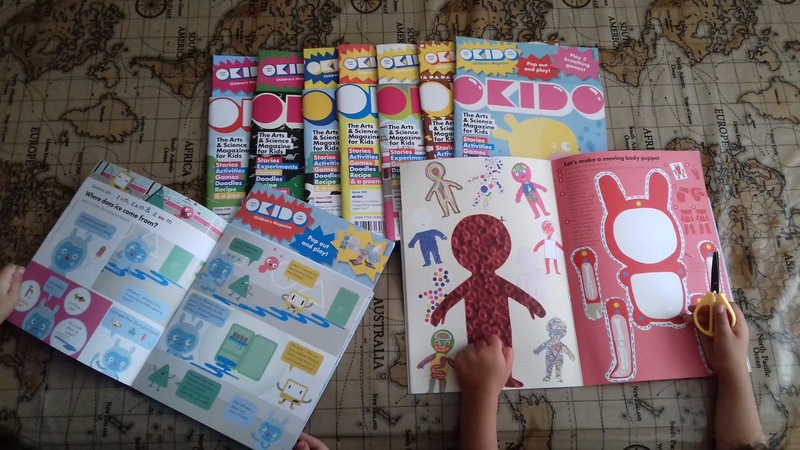 Welcome to the world of Okido, where curious children become creative scientists. 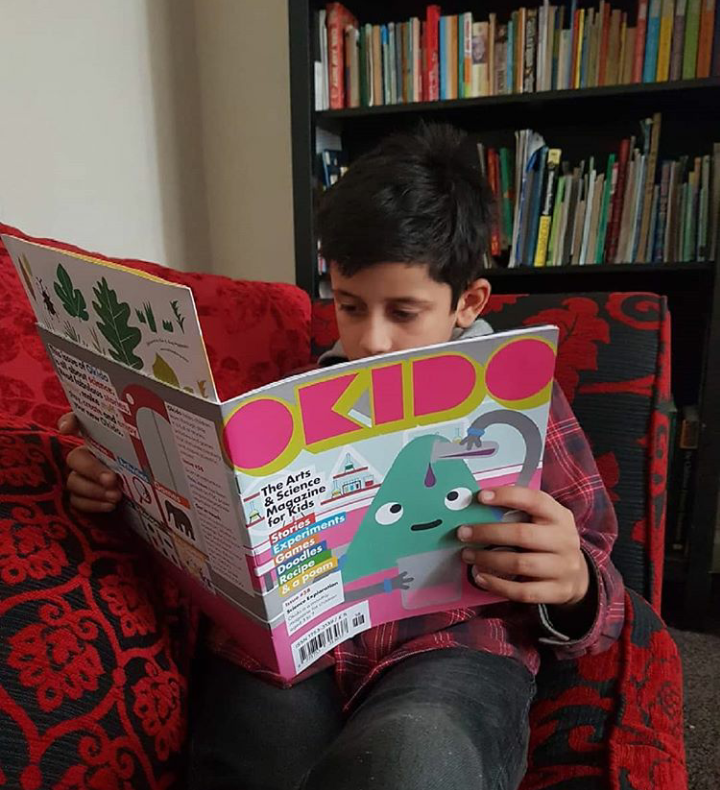 Okido magazine is printed on thick, high quality FSC paper using bright, bold, biodegradable vegetable inks. 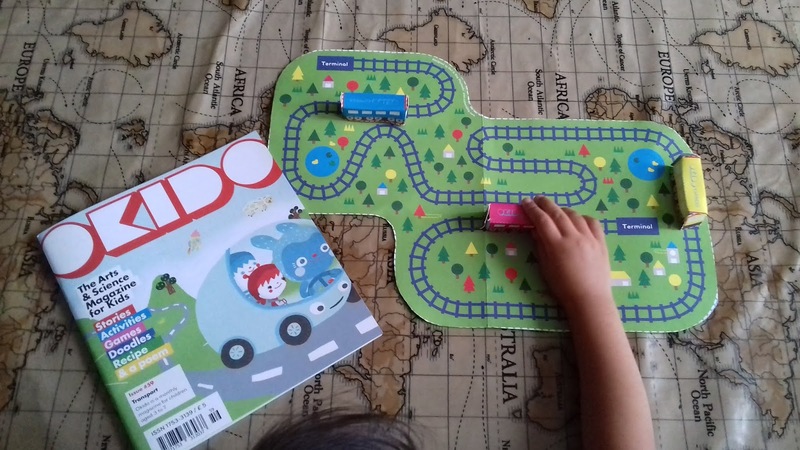 Each issue is packed with stories and activities, perfect for a rainy summer day! There are stories, games, doodles, recipes, poems and either an activity or experiment in every magazine! The kiddies favourite part is the pull out A4 page in the centre which has something to cut out and make! The kiddies spent all morning looking through the magazines, reading stories to each other, cutting out games to play together and completing puzzles. Looking at our bundle of 9 issues I think it will take weeks, if not months to plough through it all! It's sure to keep the kiddies busy without them realising they are actually learning Art and Science along the way! It's now Saturday afternoon and there are still paper cuttings strewn across the kitchen table with lots of busy little bodies colouring and doodling away! Let's have a closer look at some of the issues we received! 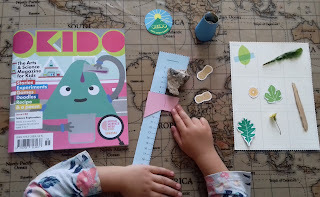 In this issue DD4 made her own caliper which she used to measure nature things she found around the garden. She cut out the little peanuts first, so she could measure with those, before we discussed how to measure in centimetres. 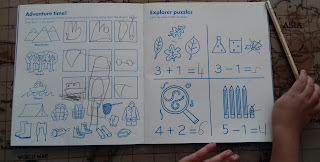 After measuring leaves, sticks and stones she wrote the measurements on her exploration chart. 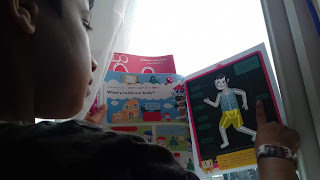 This activity was from the pull out card which is in the centre of the magazine. 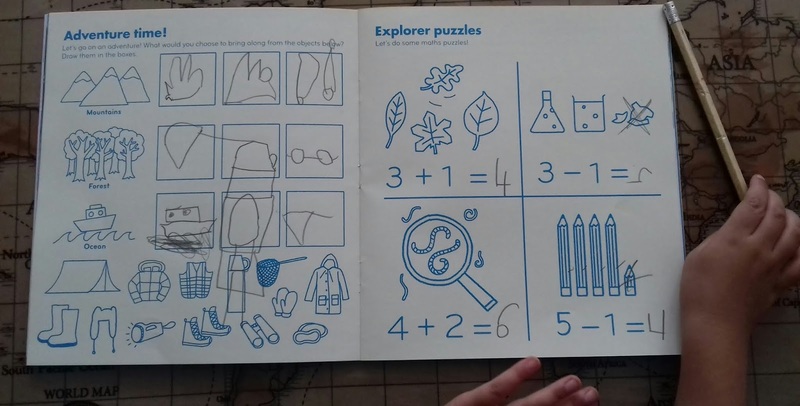 She then completed the puzzles, Maths and handwriting activities. This issue includes Science stories to read, a chromosome and DNA activity, an atomic printing craft, a recipe and much more! 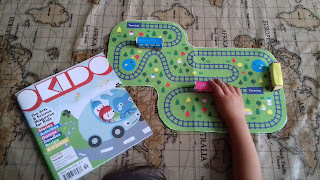 In this issue the kiddies learnt all about different types of transport. They read stories, poems counted vehicles and did some model making following the simple instructions on how to make their own car and boat. There is also a lovely recipe for traffic light peppers and lots more. DD4 cut out the train track and little trains for some cute roleplay. This is the issue DS6 grabbed first when I showed him these magazines. He had been learning about reversible and irreversible changes in his Science lessons so this tied in nicely. 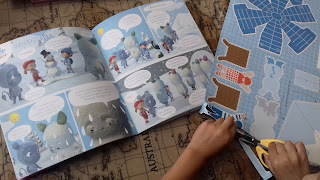 Whilst reading the comic strip he carefully cut along the dashed lines of the pop out and play sheet. He made his own igloo by carefully cutting and folding along the lines as well as the little characters which weren't too fiddly for him to cut. This issue has lots of colourful stories, simple experiments and talks all about where ice comes from. There are also lots of fun activities as well as an 'Icy Escapades' board game. This is the lovely pink issue all about bodies! DS9 liked the fact that it included some 'x-ray' pages. He could hold it up to the window to see the skeleton inside the boy's body! He discovered lots more about the heart, muscles and other organs, drew leg bones, made a body puppet, looked at shadows and made gingerbread bodies! I can't stress enough how packed these magazines are. 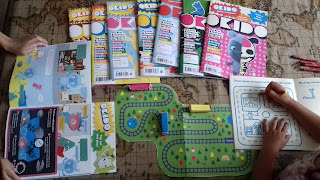 They are aimed at children ages 3 - 8 but I am sure all children under 10 would enjoy these. There is something for all my younger children to discover and explore. 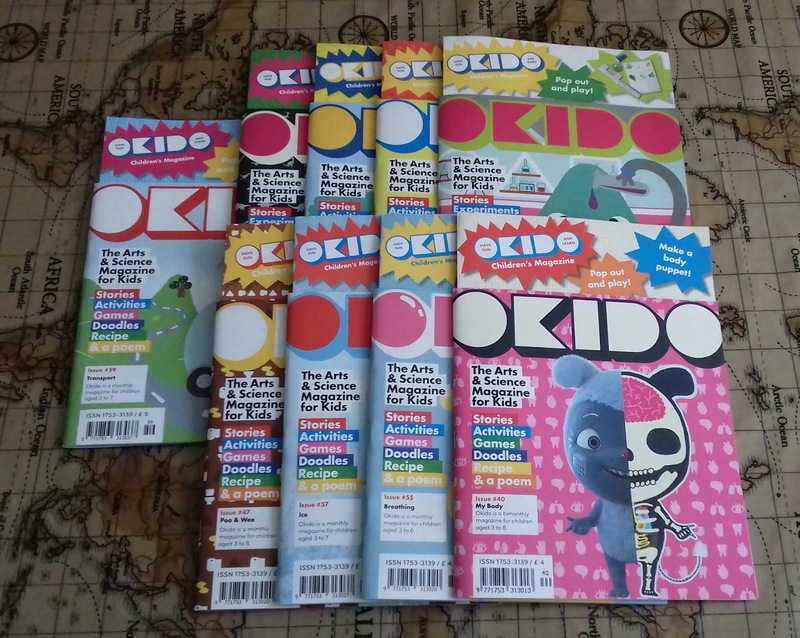 Each issue also has a fan page showing photos of what other little Okido subscribers are getting up to on their Okido adventures! Check out this flip through clip of the Dinosaurs issue! Overall, I would say if you're looking to buy your little one their first educational magazine or looking for a magazine subscription then go for this one! I am always a bit reluctant to give DD4 things made of paper as her little hands are able to shred things to bits within minutes! But I was nicely surprised that these strong magazines remained intact throughout the time she was reading and drawing in them. They are packed with educational activities and stories on different scientific topics which gave the kiddies a chance to find out what they wanted to know! ;) As well as working together cutting out games and carrying out experiments. They are perfect magazines for my children as they appealed just as much to my 12 year old son as they did to my 4 year old daughter! They are ideal to use alongside your Science curriculum to further your child's learning in a specific area where they can learn through play, activities which stimulate creativity and inspire scientific interest perfect for all budding scientists! Do you fancy getting your hands on a copy of Okido for your little ones? You can buy back issues and bundles here or why not subscribe and have them delivered monthly here. Disclaimer: I was sent this bundle of magazines for review purposes and all opinions are my own.